A memorial service will be held at Oxford College this month for Emory students Abinta Kabir and Faraaz Hossain, who were killed over the summer in a terrorist attack in Dhaka, Bangladesh. The service will take place Sunday, Aug. 28, at 6 p.m. in Allen Memorial United Methodist Church, located at 803 Whatcoat St. in Oxford, Georgia, with a reception following in the Oxford College Library. The lives of Kabir and Hossain were honored earlier this summer in a July 7 interfaith vigil held at Emory’s Cannon Chapel to remember the 20 individuals killed in the attack, as well as victims of violence around the world. At that service, the students were remembered as bright, warm and humble campus “servant leaders.” Both had served as chair of the programming subcommittee for Oxford’s Student Activities Committee (SAC), the epicenter of social planning on campus. Kabir, 19, was a rising sophomore at Oxford College from Miami, Florida. Hossain, 20, was a junior from Dhaka — a fall 2015 graduate of Oxford College who began his studies at Goizueta Business School in January. Both were graduates of the American International School of Dhaka (AISD) and close friends who dreamed of earning business degrees and bringing their skills and knowledge back to help those in Bangladesh. The students were visiting friends and family in Dhaka over the summer when the attacks took place. 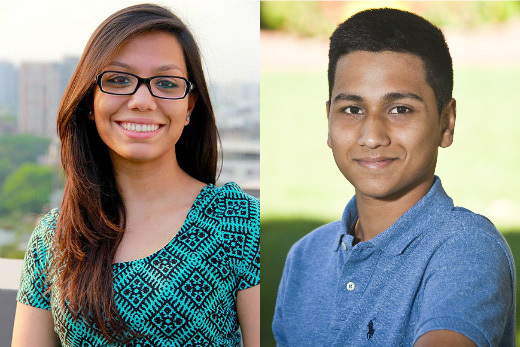 On July 1, Kabir and Hossain had arranged to meet fellow AISD graduate and University of California sophomore Tarishi Jain at a popular restaurant when heavily armed militants stormed the café. Counseling and Psychological Services (CAPS) offers confidential individual and group counseling for students. You can reach CAPS at 404-727-7450 or online. Oxford College students may also contact email Dr. Sandra Schein by email. The Faculty Staff Assistance Program (FSAP) provides a variety of programs and services, including psychological counseling, to promote the physical, emotional, social and occupational health of Emory employees. FSAP may be reached at 404-727-4328 (after hours press 2 for on-call crisis assistance) or online. The Office of Spiritual and Religious Life provides a religious, spiritual, ethical and moral presence in our university community for people of all faith traditions and offers support, especially in difficult times. Visit the office’s website for a list of quiet spaces, worship and meditation sessions, and staff contact information. To contact a chaplain call 404-727-6225 on the Atlanta campus or email Lyn Pace on the Oxford campus.